7 Fab Makeup Tricks to Rock the Summers! Whether you are dressing up for a party or every day at work, you want to look fresh and pristine. Even a light layer of makeup can make a big difference to your appearance. However, the scorching heat is playing up merry hell for makeup lovers and fashionistas. Putting on makeup can be a tricky affair in the peak summer months. Cakey or patchy skin, running mascara are common makeup debacle that happen when the mercury soars. However, with the right technique and using the right products one can put an end to these makeup woes. So ladies, we bring you the following seven makeup tricks and product choices that will make sure you never fall victim to a bad makeup day (or night)! The biggest reason for runny make-up in summer is oily skin, and when the skin gets sweaty, it tends to secrete more oil. Hence, the first step to flawless makeup in summer is to control the oil. Consuming a lot of water, eating fresh fruits, veggies and staying away from oily snacks are some of the natural and recommended ways to prevent secretion of oil. If you want your makeup to last longer without it getting patchy and cakey, it’s imperative you dress and accessorize light. This rule particularly comes in handy if you are attending a summer wedding. Instead of opting to wear a heavy and ornate piece of jewellery, go for light and delicate pieces. For example, diamond rings for everyday wear from CaratLane collection are the perfect choice of jewellery even for weddings. The platform also offers a range of heavy and exquisite diamond rings for women, elegant gold jewellery and minimalist adornments that will complement the summer look. To keep everything light and breezy, it’s time to put away the foundation for the time being and invest in a good primer. Foundation can be more oily and heavy on the skin. However, a primer is a specialized makeup product crafted to conceal dry and oily parts of the skin. Unlike a foundation, a very thin layer of the primer can do the trick. When you purchase a primer, buy a shade which is closer to your natural skin tone. Also, look for a waterproof and long lasting one so that your makeup stays put even under the most grueling conditions. A bold eye makeup may seem like a right thing to do for an extravagant party look, but skipping this rule when the mercury is rising outside seems to be a wise choice. Opt for light and easy going eye makeup routine that is minimalist yet apparent. The key is to skip cream based eyeshadows altogether. Instead, use a powder based eyeshadow preferably in light pastel shades which are inherently the colours of summer. Going easy on the eye makeup and the foundation means that you have the freedom to go outright bold with the lips. Matte lipsticks in any bold colour are just fine. Buy a stain-proof and long-lasting lip colour so that you don’t have to spend too much time doing a touch-up. Avoid using glossy lipsticks as it may make your skin look oily and greasy. If you are hesitant about wearing a bold lip colour then apply sheer lipsticks to create magic. If you want to make your eyes to appear bright and full of life instantly, a stroke of mascara is all that you need. As the last step of a make-up routine, a lot of women are not sure on how to apply the mascara the right way. To begin with, always buy waterproof mascara because a smudged mascara can totally ruin your look. Depending on how dense your lashes are, mascara is applied to thicken or lighten them. If you want to volumize your lashes, you will need to apply the brush in a slow and dense manner a couple of times. Alternately, if you want to lighten them, a quick and gentle stroke of the brush is enough. 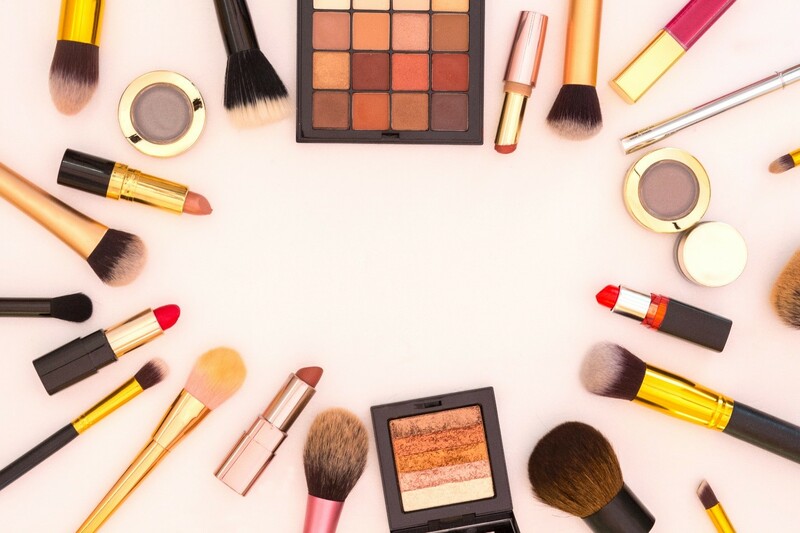 Makeup items like eyeshadow, lip gloss, blush with shimmer is a big no for summers. Shimmer portrays a dense look and to keep things light and breezy, ditch shimmer based makeup for a while. With these tips, you are assured of a flawless makeup no matter how hot or humid it gets. If there is an upcoming wedding or event, try out the look you plan on sporting on the day beforehand so that there is no last-minute glitch. Great blog and thanks for sharing these tips. It is winter season now. Will definitely try out your makeup tricks next summer. Looks really cool and effective!